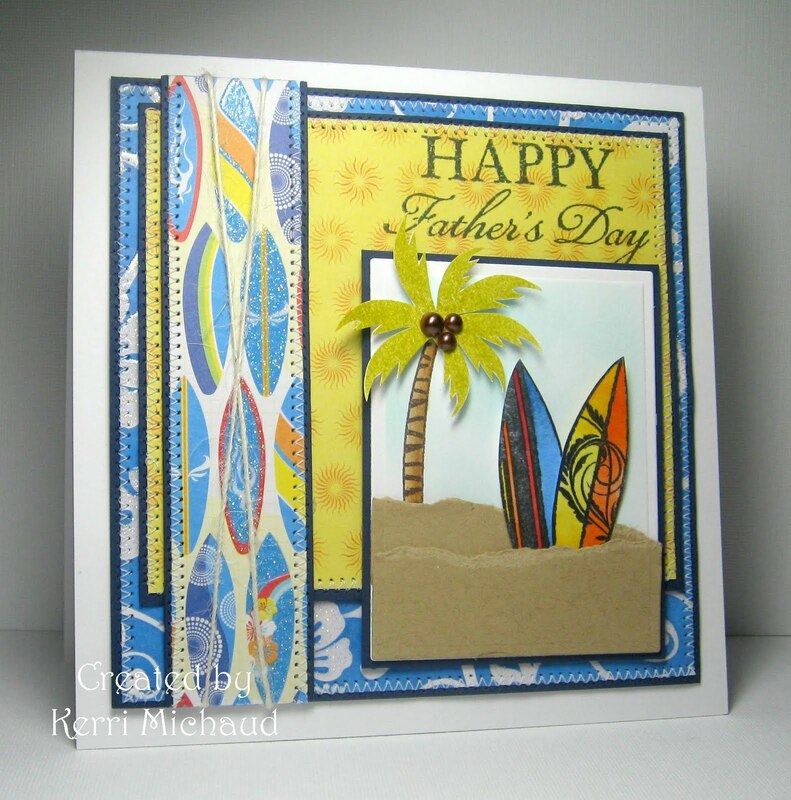 For my card I used the Verve set Relax for the palm tree and surf boards. The sentiment is a Verve Plain Jane. The dp is Best Creation Inc and it's called Surf's Up. I matted the dp with some Night of Navy cs, added some stitching, the twine, and some pearls to the palm tree and called it good:) The sketch is from this week's Friday Sketchers. This is also for this week's A Spoon Full of Sugar Challenge~Enjoying the Sunshine. AWW Glad to hear you are feeling better Kerri!!! Your card is wonderful I LOVE the colors and how you did the sand with the surf boards! How fun and creative girl!!!! Fantastic card! I'm so behind on my blog hopping--I've been to busy lately! The stuff you've been making rocks! Love that dp, and your layout is fabulous. The tree and the layers of sand are so cool!!! Such a fun and tropical card! Wish I were there, lol. Lovely summery theme card for Father's day Kerri! Those cheerful color scheme is fantastic! Wonderful summer card! I love the colours and the lay out! Great Paper as ALWAYS!!! I love the pearls on the palm tree....so clever!! Your dad is going to LOVE IT!! Your father will love this card! Great choice of the papers! And what a beautiful beach scene you created! Love those pearls you added to the palm tree! This card is awesome! My favorite part?? It's a toss up between the layout, the twine and the coconuts!